Grrrrrls: another bird post, of sorts. another bird post, of sorts. 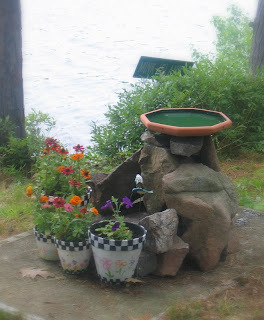 I had been looking for some way to cover this old concrete slab we have at camp. I guess, before we bought the place 3 years ago, the pump house used to sit on it but was then moved. It was an eyesore and just a little dangerous as it has 4 huge nasty bolts sticking up out of it which could defintely wreck some havoc on bare feet. This week I came up with a solution, and today, I created it. 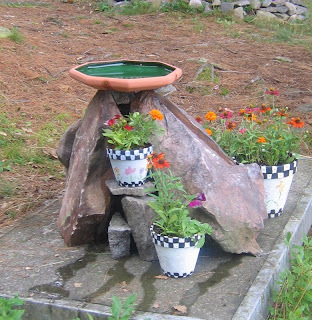 A river rock birdbath and painted flower pots. Voila! LOVE it! 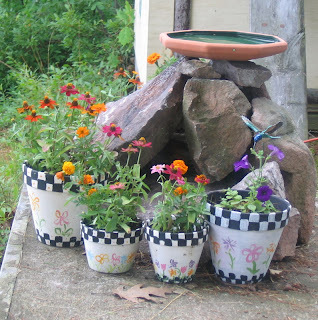 Did you paint the flowerpots? Thanks for having Boy up at camp this weekend ;-). He had a great time! ha, yes I painted them. you're welcome! he is a great kid. you and B have done good. Very nice...Artsy but natural looking and not overwhelming. Good Job!! Wooo very pretty! You are talented my dear! Isn't it lovely when an idea comes together and you're pleased enough to take pictures? thanks Julie! so true, I was very happy with the outcome of this project! love love love it! very creative! 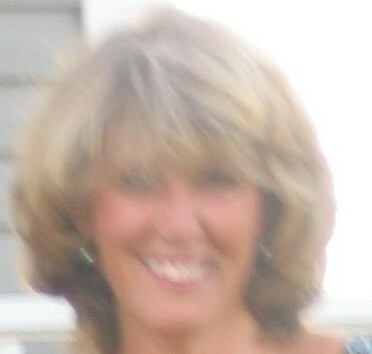 thanks Kate, hope you had a great time in VA. welcome back! This is wonderful! It really is a great creation, a mixture of nature and manmade, and it really works to cover that slab. Well done! Two for Tuesday - Sparklers!